Everybody knows that "We're all mad here. 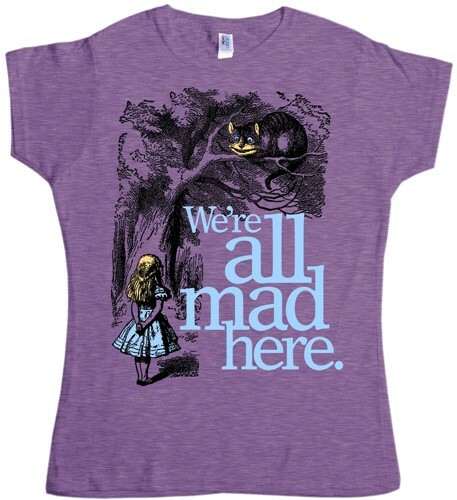 "This t-shirt features Alice talking to the inimitable Cheshire Cat from Alice's Adventures in Wonderland. The heather purple color of the shirt sets off the image and text beautifully. This 100% cotton T-shirt is available in juniors sizes small to extra-large. This same design is also available in a dark purple Juniors T-Shirt. To view more t-shirts featuring Mighty Girl characters, visit our Character Themed Clothing section or, for more literary-inspired shirts for all ages, visit our Literary Themed Clothing section. 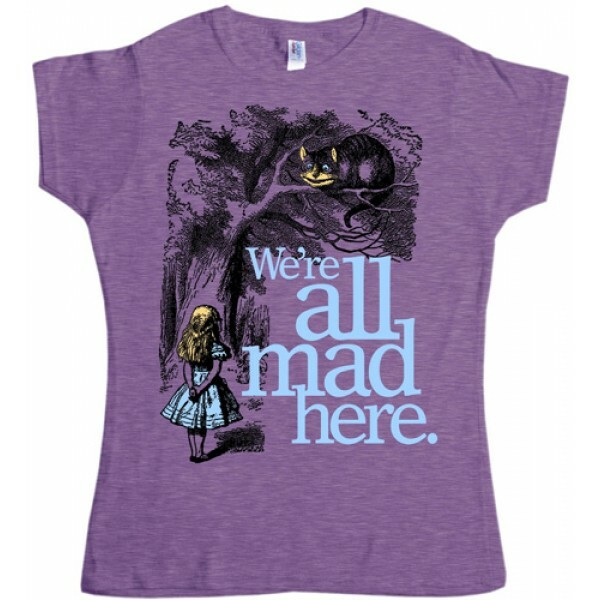 For more Alice in Wonderland-related shirts, books, and toys, visit our special Alice in Wonderland Collection.